Hey guess what? Instead of everyone flooding other threads with irrelevant posts, here's a thread that we can just smack talk away with no worries. Okay maybe a few worries, AKA a rule set. 4) When your team wins a Super Bowl, take your high and mighty attitude elsewhere. Smack talk is meant to be a fun time. 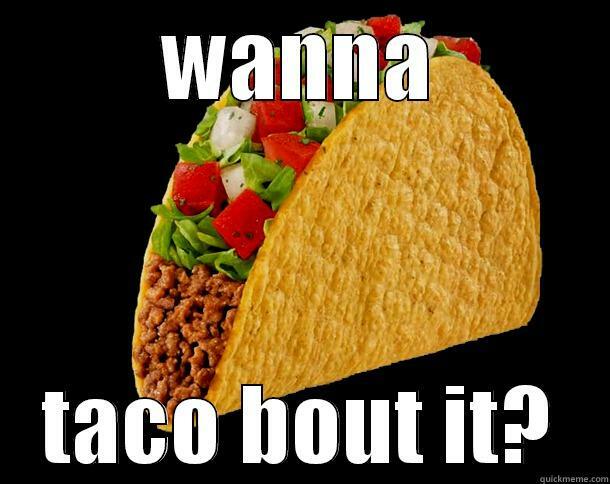 How about cheese ON tacos??!! Wait..... Stop talking about those, well you know....... Back to Tacos!!! !